February 22, 2012 - A federal class action lawsuit has been filed against Citibank in what customers have reported the company lured them in by offering 40,000 frequent-flier miles to open an account but failed to tell them they had to report 2½ cents per mile as income to the IRS. Citibank has been sending 1099 tax forms to customers who received frequent flier miles as a reward for opening a checking or savings account. Despite IRS guidance that frequent flier miles are not taxable, Citibank continues to send out the 1099 forms to consumers incorrectly stating that they must pay taxes on frequent flier miles earned. Citibank has interpreted a rule requiring individuals to report rewards and prizes as taxable income, calculating the value of each frequent flier mile as 2.5 cents of taxable income. A 2002 ruling from the IRS clearly states that frequent-flier miles are not taxable income. Citibank arbitrarily calculates the value of each frequent flier mile as 2.5 cents of taxable income. Based upon its incorrect interpretation of a rule requiring individuals to report rewards and prizes as taxable income, Citibank has been sending its customers 1099 tax forms to report their frequent-flier miles. A spokesperson for the bank stated that the bank is following instructions from the 2012 Internal Revenue Code, and that income tax must be paid if at least $600 in “prizes and awards” is received. The IRS stated that it “will not assert that any taxpayer has understated his federal tax liability by reason of the receipt or personal use of frequent flier miles or other in kind promotional benefits attributable to the taxpayer’s business or official travel. Lead plaintiffs Bertram Hirsch and Igor Romanov state "What Citibank does not disclose to customers who take advantage of the American Airlines miles promotions is that Citibank will file with the Internal Revenue Service ('IRS') a 1099-MISC reporting that they received miscellaneous income, in the amount of 2.5 cents per mile, for the American Airlines miles provided to such customers. "It is widely understood in the marketplace that airline miles are not reported to the IRS as being taxable for income tax purposes. Indeed, Citibank expressly informed plaintiff Hirsch that the American Airlines miles that he would receive for opening up Citibank checking and savings accounts were not taxable. "Even if the airline miles were taxable, Citibank's practice of valuing the airline miles at 2.5 cents per mile is grossly unfair and deceptive. 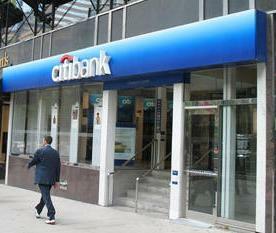 Airline miles have no value to Citibank customers that can be fixed at the time they are awarded. If redeemed, these miles typically have an average value to customers of between .76 cents per mile and 1.2 cents per mile. At least one study recently concluded that American Airlines miles in particular are only worth about .76 cents per mile. "Citibank failed to make these material disclosures because it knew that very few customers, if any, would take advantage of the airline miles offers because they did not make economical sense. Citibank benefits from this practice by gaining additional banking business and savings deposits from which it could lend out at much higher interest rates than the low interest rates paid to plaintiffs and the members of the class. "Citibank does not disclose in its American Airlines promotional offering materials that Citibank will report to the IRS that its customers received miscellaneous income as the result of the receipt of airline miles, or that the American Airlines miles would be valued at 2.5 cents per mile by Citibank, because Citibank knew that very few customers, if any, would take advantage of the offer if the disclosures were made." The plaintiffs seek class certification, restitution and compensatory and punitive damages for unfair trade practices, breach of contract, negligent misrepresentation and unjust enrichment, as well for Citibank to stop from using this scheme to lure customers.